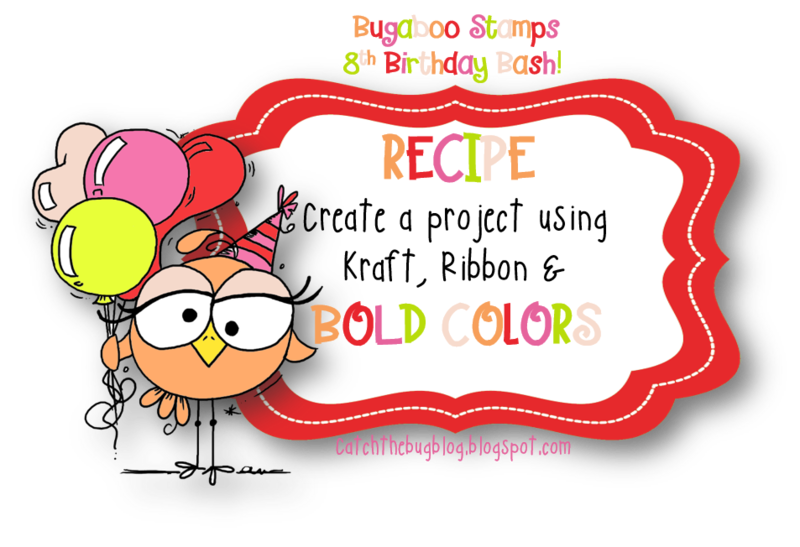 Today is day 6 of our Birthday Bash at Catch The Bug/Bug-A-Boo Stamps. Today we have a Recipe for you to follow. Use Kraft paper, Ribbon and Bold Colors. 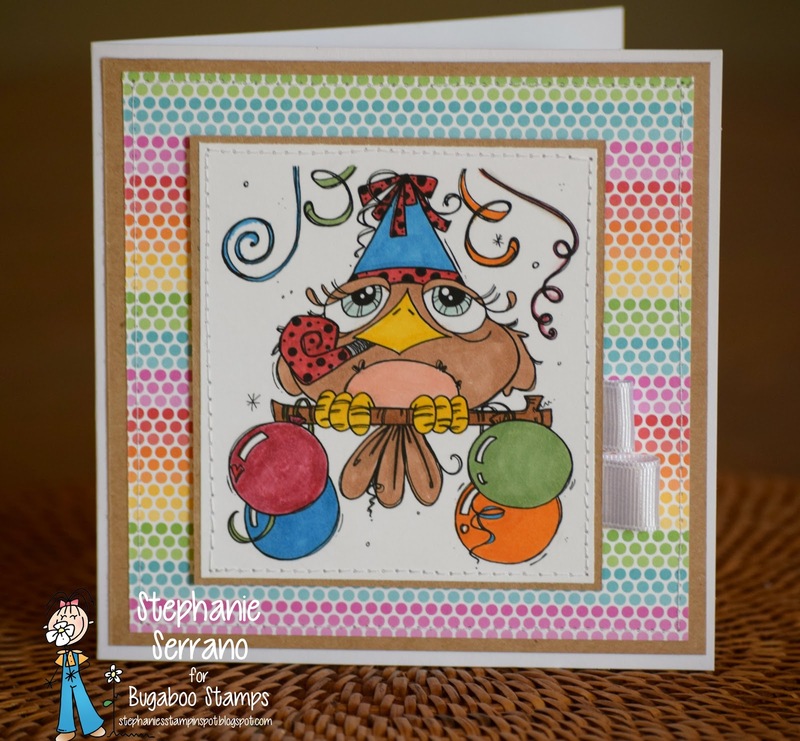 I am using Birthday Bird 02, colored with copics and the paper is from my scrap bin. Make sure you are playing along every day this week for your chance at some great prizes listed below. I loved your card today! That chubby bird (fantastically colored) and your bright DP really looked great. Simply fantastic. 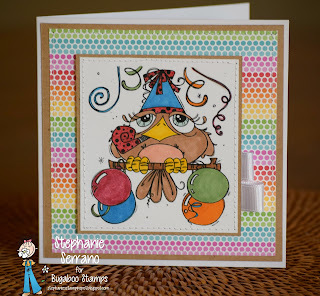 Stephanie, what a fun card. Love your wild bird.